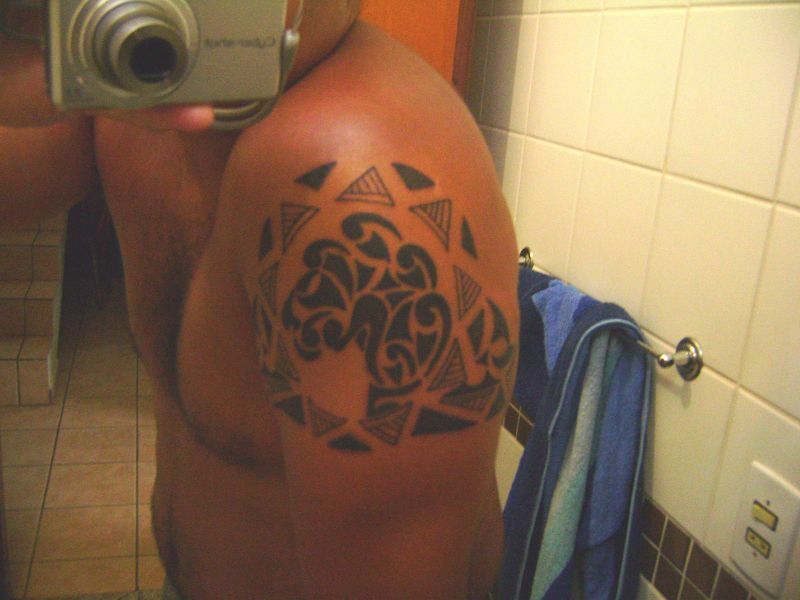 Inspired by "Lion half sleeve"
Giovanni requested a Maori styled half sleeve with a central design representing the lion, his star sign. The lion is a symbol of royalty and strength, and this often gets it associated to the sun. The central part of this design is therefore a sun, with a stylized lion head looking left, with korus (symbols of new life and continuity) being the outer edge of the mane.